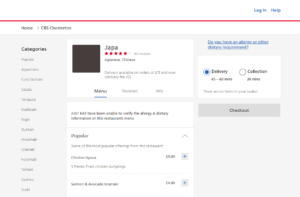 Looking for food delivery portal alternative to reduce your commission costs? Restaurants wanting to start selling on the Internet often enter into cooperation with portals. Their position on the market helps to increase the number of orders in a short time, however, such cooperation costs a lot. When looking for food delivery portal alternative, restaurant owners more and more often decide to launch their own online orders. Food delivery portal is a platform where you can find thousands of restaurants. Customers can choose the right one for themselves and order food from it. The order goes to the restaurant and it deals with its execution. An undeniable advantage of such cooperation is the popularity of portals that actually spend gigantic sums on marketing activities. Therefore they can generate a large number of orders for a single restaurant. In addition, restaurateurs have a lot of problems on their minds. They do not have to worry about advertisement or whether orders will appear. The portal makes sure that it generates orders for each restaurant because it is in the portal’s interest – there is nothing for free. A huge amount of advertisements are promoting the portal itself and not the restaurants that are on it. The customer database with marketing contact consents, which is built when placing orders, also belongs only to the portal, not to the owners of the establishments. 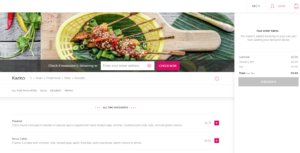 It is very easy to get addicted to being on a portal – if the restaurant does not have food delivery portal alternative, it dictates the terms of cooperation. If you do not agree, you will not be able to redirect the customers ordering online. However, the biggest disadvantage of cooperation with food ordering portals is the costs that grow with the number of orders. The more successful your restaurant is the more commission you will have to pay. Launching UpMenu system turns out to be the best food delivery portal alternative here. See aour alternatives: GrubHub alternative, Seamless alternative, Foodpanda alternative, JustEat alternative. UpMenu system is really a good food delivery portal alternative. It helps to reduce costs, build brand awareness, and customer loyalty; and, finally, gives you the opportunity to become independent of portals. Read more about it in our article: Online food ordering portals – be cautious of promotions that are not initially offered by you! If you want to have your own portal alternative, contact us! 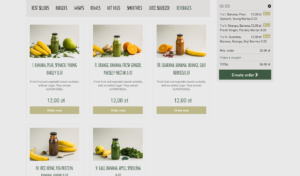 We are happy to help you start the online ordering system!